Newgeography.com lost a one of its first columnists, a regular contributor and good friend with the passing of Owen McShane. Owen McShane (Robert Ivan Owen McShane) was born in 1941 and died on March 6, 2012. His long and successful career in public policy was built on a strong academic foundation. He graduated from the University of Auckland, earning degrees in architecture and urban planning. He continued on to be awarded a masters degree in city and regional planning at the University of California, Berkeley. There he studied under fabled Aaron Widavsky, chairman of the Political Science Department. His master's thesis dealt with a US federal program intended to reduce unemployment and promote business development in central cities. He joined the new City Development Division of Auckland City Council after graduating from the University of Auckland. After returning from America, Owen held positions in both the public sector and government. He was a columnist for the National Business Review and has been published in many magazines and newspapers. 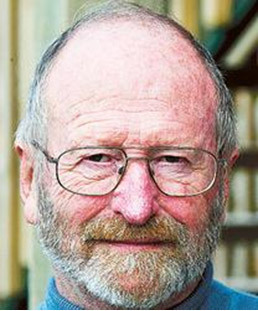 In recent years, Owen directed the Centre for Resource Management Studies in New Zealand. The Centre seeks to promote "a heightened awareness and understanding" of the environment and is committed to the "the promotion of scientifically robust, research-based and rational decision-making processes at all levels in matters concerning the environment." Owen was also a regular participant and presenter at the annual American Dream Coalition conferences. Owen developed an understanding of economics, which assisted him in avoiding the disconnected romanticism that sometimes characterizes architecture and urban planning. Combining economics with architecture and urban planning made his contributions more effective by adding the crucial human element. From Owen's perspective, rational urban policy was not determined by remote or theoretical visions of the city that he was trained to plan. The success of a city was rather judged by the standard of living experienced by its residents. For example, his How Can Cities with Unaffordable Housing be Ranked Among the Most Livable Cities in the World? (newgeography.com, June 9, 2009) may have been the first to point out that popular indexes of the quality of life in international urban areas routinely ranked the most unaffordable at the top. This kind of analysis led Owen to postulate that " genuine sustainable development" had to work from middle class people and families too" in The Disappearance of the Next Middle Class (newgeography.com, August 24, 2010). Owen McShane was an untiring advocate of ordinary people, championing individual aspirations in a world that has increasingly been captured by bureaucratic theories that take little or no account of their preferences or their economic advancement. Owen will be greatly missed both in New Zealand and far from its shores. Reprinted from Newgeography.com found at http://www.newgeography.com/content/002715-owen-mcshane-1941-2012.